WASHINGTON (PNN) - February 23, 2019 - The Framers of the Constitution feared exactly what has come to pass: a government that no longer represents the interests of the citizenry. They did their best in a fractious debate to stipulate safeguards, but it's clear that many of the Framers understood that no document could completely safeguard the Republic against a leadership that sought to undermine the Republic at every turn for personal gain. PARIS, France (PNN) - February 23, 2019 - Thousands of yellow vest protesters took to the streets across France on Saturday for a 15th straight weekend of demonstrations. Laura Loomis sets up a sanctuary on Nancy Pelosi’s Kalifornia estate, bringing with her men from Mexico and Guatemala. Brilliantly done and very very funny. 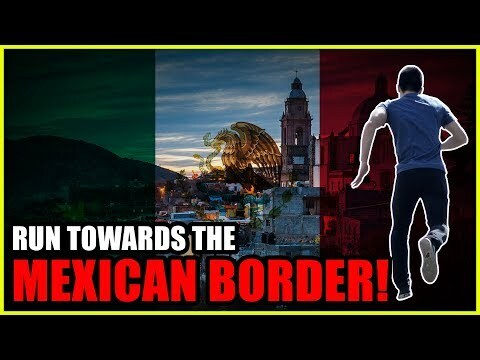 Luke Rudkowski of WeAreChange gives you the latest breaking news on why so many Amerikans are leaving for Mexico in search of True Freedom. Featuring short interviews with many of the presenters from the Anarchapulco conference. Commentary: Is it too late for nonviolent means to restore American Liberty? February 13, 2019 - Don’t give up on America, fight for her return to a land of liberty. “There’s absolutely no evidence to support the statement that [America is] the greatest country in the world. We’re 7th in literacy, 27th in math, 22nd in science, 49th in life expectancy, 178th in infant mortality, 3rd in median household income, number 4 in labor force, and number 4 in exports. We lead the world in only three categories: number of incarcerated citizens per capita, number of adults who believe angels are real, and defense spending, where we spend more than the next 26 countries combined, 25 of whom are allies.